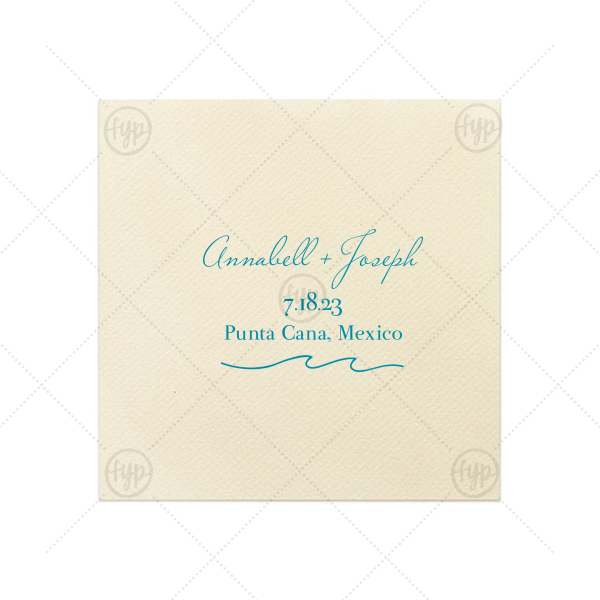 Bring your wedding party to the beach! 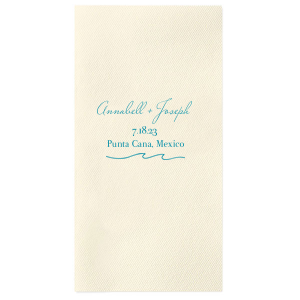 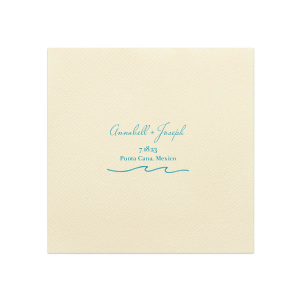 With a Wave graphic and Teal foil, these napkins will. Personalize with your names, wedding date and location for a detail just right for your destination wedding.